"Stories like Spy Princess have a real connection in the modern era. 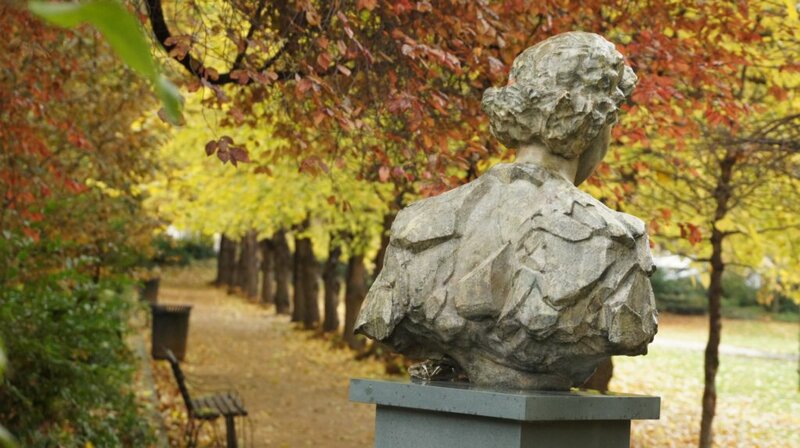 And to have a statue here reminds us of just that...the multicultural aspect, the international aspect of her life and her sacrifice. It will get many more people to ask the question -- who she was, why she is here and what we could achieve in her memory." Noor Inayat Khan, a descendant of the legendary Tipu Sultan, was a secret agent in the Second World War. 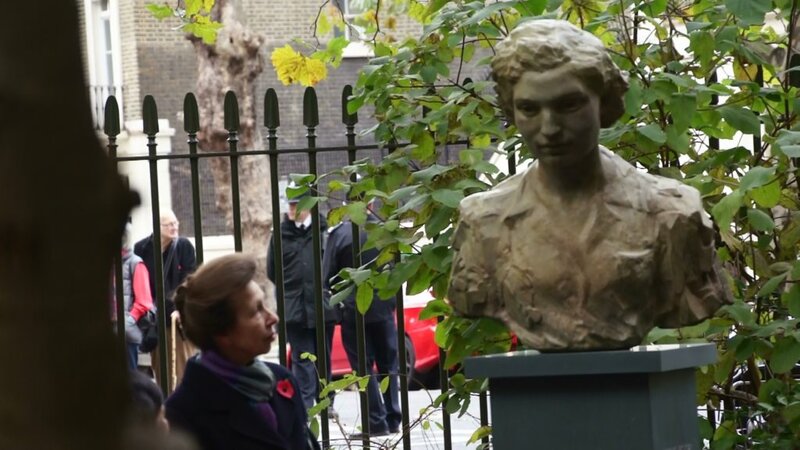 She was infiltrated into France by the Special Operations Executive (SOE), Churchill’s secret organisation that sought to “set Europe ablaze”. 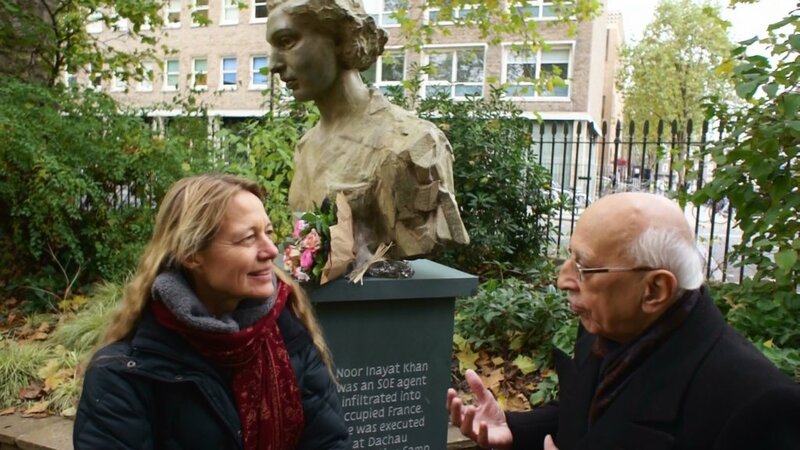 Armed with only a false passport and a pistol, the beautiful and gentle Noor became the first woman radio operator to be sent to occupied Paris. However, she was betrayed and captured by the Germans. Despite being repeatedly tortured and interrogated, she revealed nothing. She was executed by an SS officer on September 13, 1944, at Dachau Concentration Camp. She was only 30. Britain posthumously awarded her the George Cross for her extraordinary bravery, and France honoured her with the Croix de Guerre. 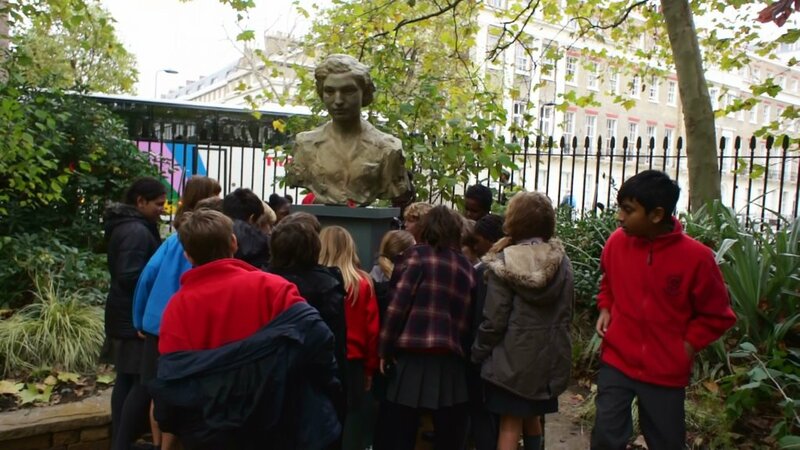 The Noor Inayat Khan Memorial was successful in its campaign to install the memorial of Noor in Gordon Square. 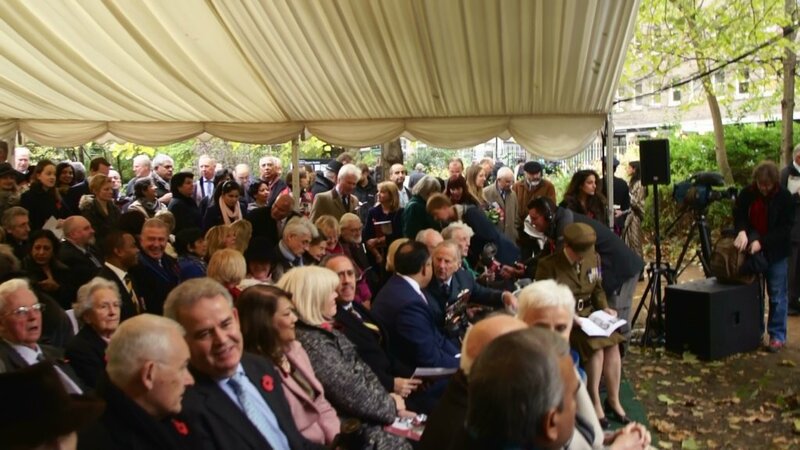 On 8 November 2012, HRH The Princess Royal unveiled the memorial at a moving ceremony attended by over 450 people, including Noor's family, veterans, M.Ps, peers, Ambassadors, High Commissioners and guests from India, USA, Germany, Netherlands, France and Russia. A special message from Noor's brother, Hidayat Inayat-Khan was read out. It has been a wonderful journey and we would like to thank everyone for it.